Will you outlive your resources? As health awareness increases and medical care improves, we can expect to live longer than any generation before us. As we live longer, the need for care in our latter years increases. Illness and injury can be prevented and cured, but the odds are we’ll still need assistance with the activities of daily living. Long-term care is a reality. Long-term care insurance can be the means to provide the necessary support. 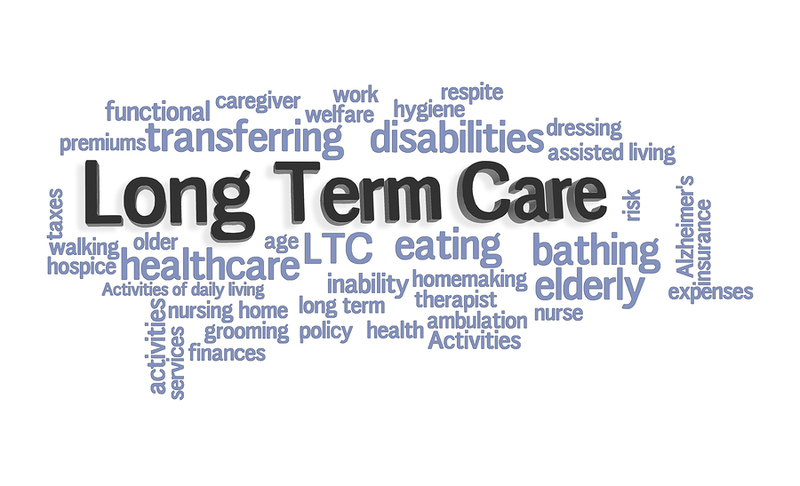 Why consider long-term care insurance (LTCi)? 10. LTCi can provide coverage in the home or in alternative facilities, like assisted living or adult day care facilities. protects against catastrophic risk. 10% of us will need more than 5 years of care ($250,000 in today’s dollars). Care for life could cost millions. What assets you own for other purposes will you liquidate to pay for coverage? 7. The cost of LTC continues to increase but you can buy LTCi with an increasing benefit to help counteract the effects of inflation. 6. Some LTCi policies offer the ability to pay for coverage over a certain number of years so you don’t have to pay forever. expense on individual income tax returns. Company-paid LTCi can be deductible by the company and not taxable to employees. Qualified LTCi benefits are taxfree. $3,000/month) would be worth 18 years of premiums (18 years x $2,000/year). family. We have home insurance even though only 1 in 1,200 houses will catch fire. If you have a 1-in-10 risk of losing $250,000 or more, wouldn’t you want to protect yourself and what you’ve worked so hard for against such a catastrophe? Keep in mind long-term care insurance policies and companies are different. A thorough analysis of your objectives and needs is necessary to recommend a particular solution. Ed Morris is a certified senior advisor and registered principal of Munn & Morris Financial Advisors, Inc., an independent firm offering a wide range of financial planning solutions and investments through its broker/dealer, Raymond James Financial Services. Contact him at 972-692-0909 or emorris@www.munnmorris.com.